Eater.com is the authority on dining and food with expert editors bringing you the best restaurants and dishes to sample from 24 “foodie” cities around the world. 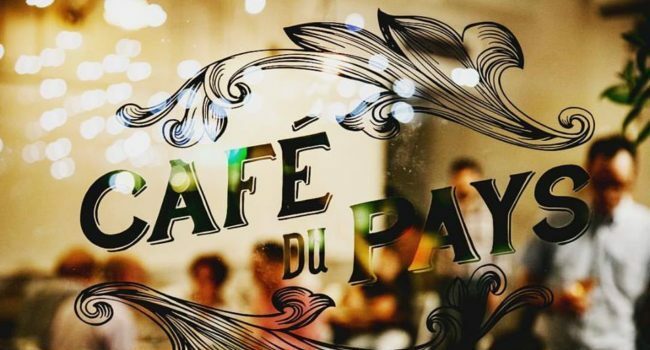 This week, their annual Eater Awards were published and Cambridge’s Cafe du Pays, a French-Canadian restaurant in Kendall Square, took Boston’s top honor of Restaurant of the Year. Eater Boston pointed out the decadent deer frites and whole roasted foie gras, served at Cafe du Pays as well as the exceptional ownership team behind the restaurant. Keeping it light after Thanksgiving weekend.•••Whole lobe of Foie Gras. Cafe du Pays opened in July 2017 and is run by the same group that operates the nearby customer favorites, Mamaleh’s and State Park. •••Apple Tart with chestnut frangipane & lard crust. Blumenthal also deemed Cafe du Pays the only local place to enjoy true French-Canadian cuisine – like the ever-popular poutine – without having to travel North. Poutine is now available til 11pm Tuesday – Sunday.•••Crispy fries, meat gravy, & cheese curds. The Eater awards were given out in five categories, with each featuring an editor’s choice winner and a readers’ choice winner. The winners and nominees are all restaurants that opened over the last 13 months. Below is the full list of Boston’s 2017 Winners, including the reader’s choice for best restaurant. That honor went to Moona, an Eastern Mediterranean establishment also based in Cambridge.